A photograph captures a moment in time, however it can also capture more than just an instance using longer exposures. When a photographer does this they show motion and communicate more to the viewer of the image with their image. Clouds moving in the sky, traffic along a street, a stream or river, a person walking are just some of the elements which can be captured using longer exposures which will be featured in the Capturing Time in Photography Juried Show. 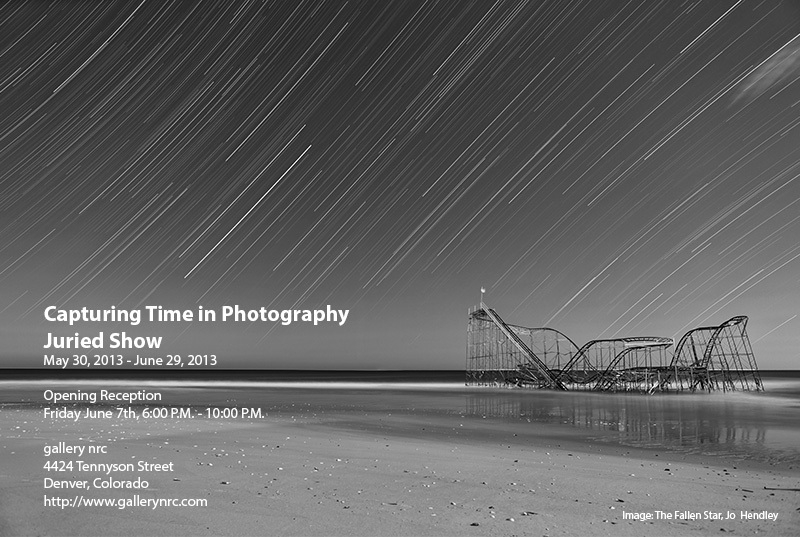 Juror Andrew Pogue has selected twenty-one images from photographers across the country to be part of this show. This show is at the gallery May 30, 2013 – June 29, 2013.